Schrade Old Timer Hawkbill Pruner Pocket Knife | BUDK.com - Knives & Swords At The Lowest Prices! 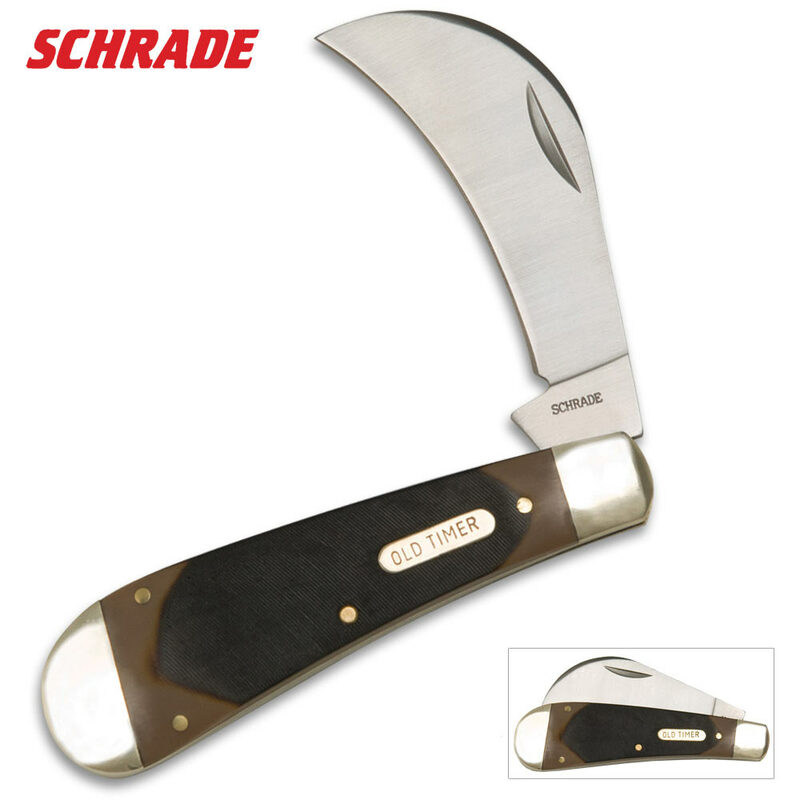 The Schrade Old Timer Hawkbill Pruner folding pocket knife features a Hawkbill Pruner blade. Carry a classic "Old Timer" just like your granddaddy did. Seriously one of the best knives I've ever bought. Its sturdy and sharp as a razor. I wanted a hawkbill knife and this is one of the nicest around. Quality knife...quality name. A must have for collectors. Love it! Although Shrade is no longer a US product, they still make pretty good products. This Hawkbill is no exception. Has a great look and feel and the blade is amazing. Great utility. Not so great as a defense option as the blade does not lock.